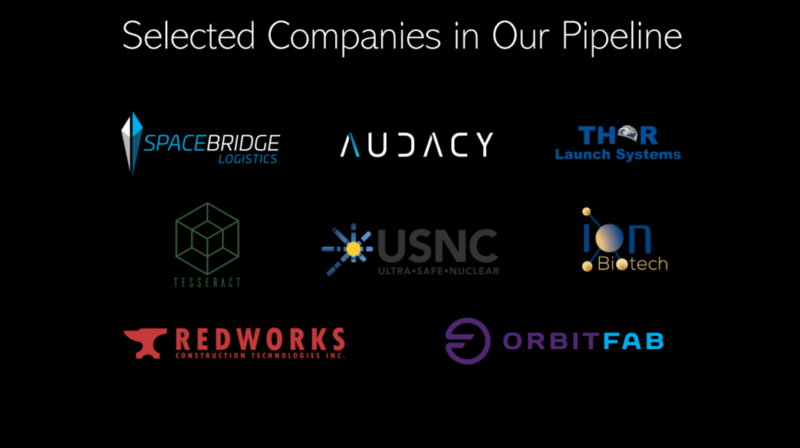 Nathan Price started by giving an update of recent news and announcements. 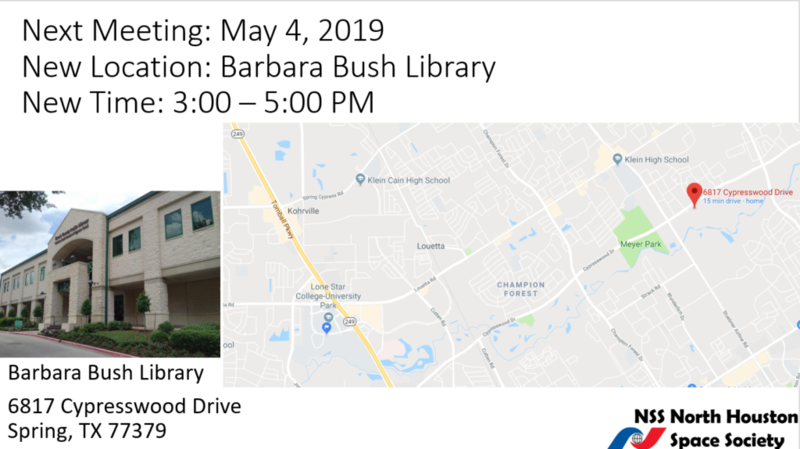 The first was that future meetings would be held at the Barbara Bush Library (6817 Cypresswood Drive, Spring, TX 77379) and the timing would be changed to 3PM-5PM on the first Saturday of each month. 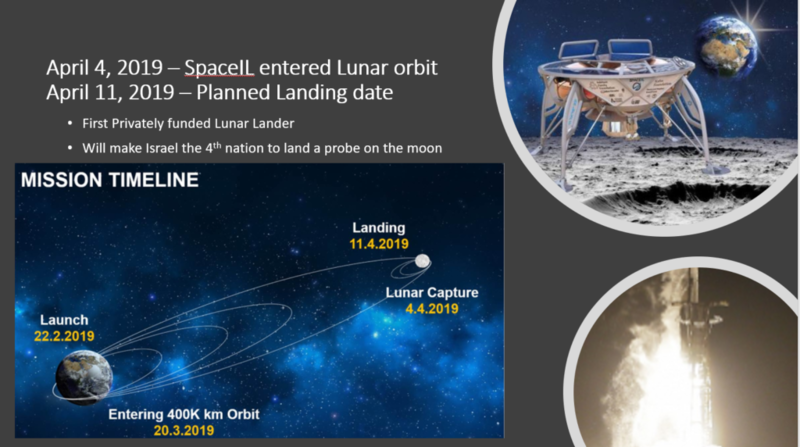 SpaceX DM-1 had just launched before the last meeting. 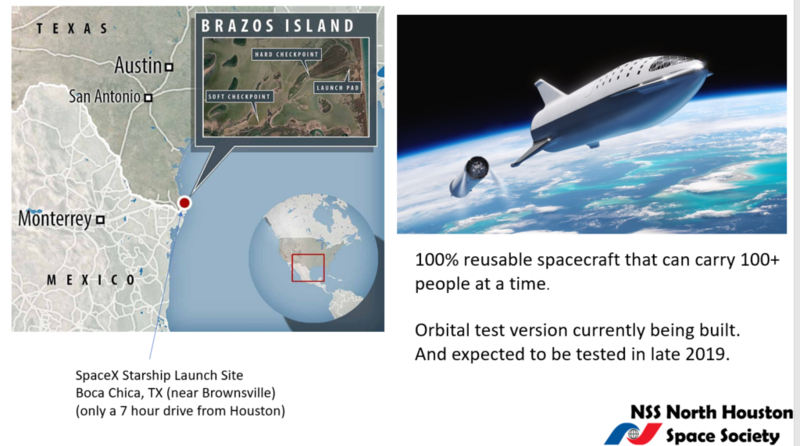 The Crew Dragon capsule completed all the expected tests and maneuvers. 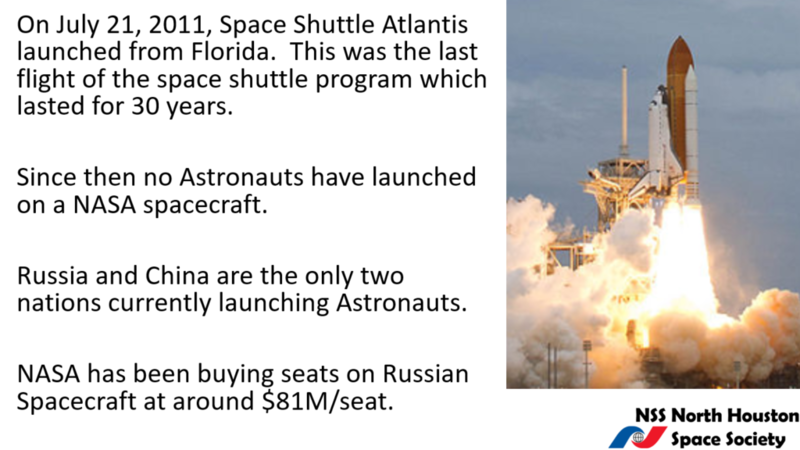 This was a key step towards re-establishing the capability to launch astronauts from the US. 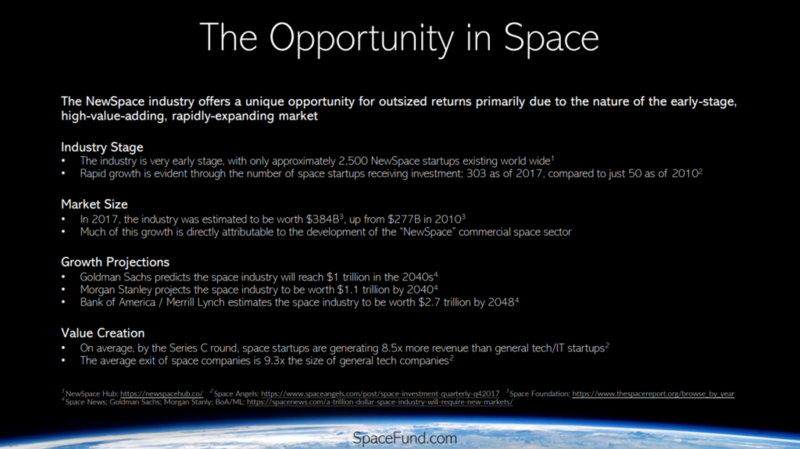 This is capability that we have not had since the retirement of the space shuttle in 2011. 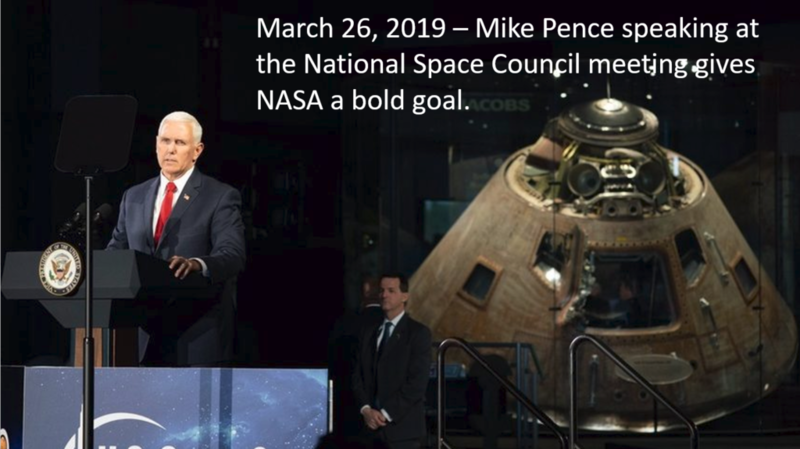 March 26, 2019 – Mike Pence directed NASA to land astronauts on the south pole of the moon by 2024. 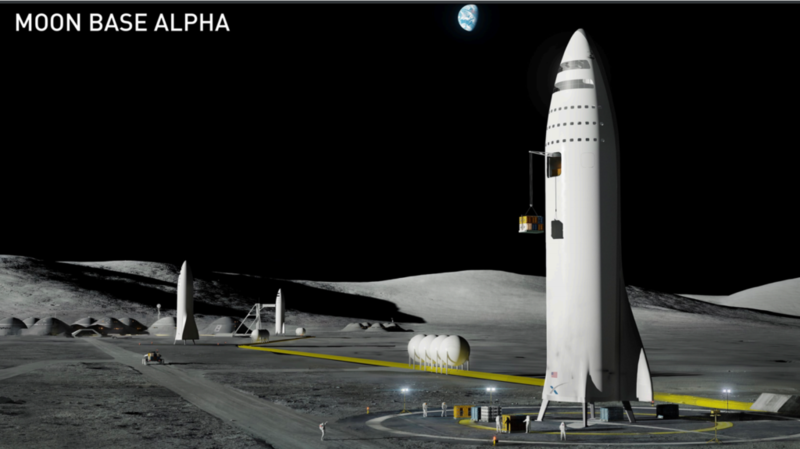 SpaceX completed a test fire of its StarShip hopper. 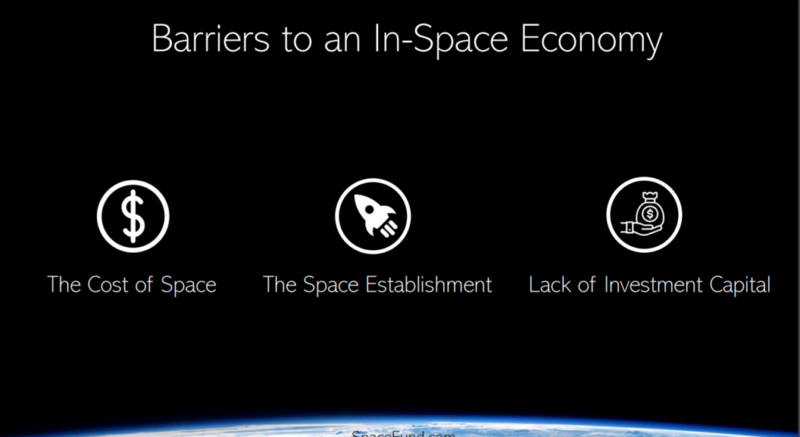 The StarShip will transform human space transportation as the 747 did for commercial airline travel. 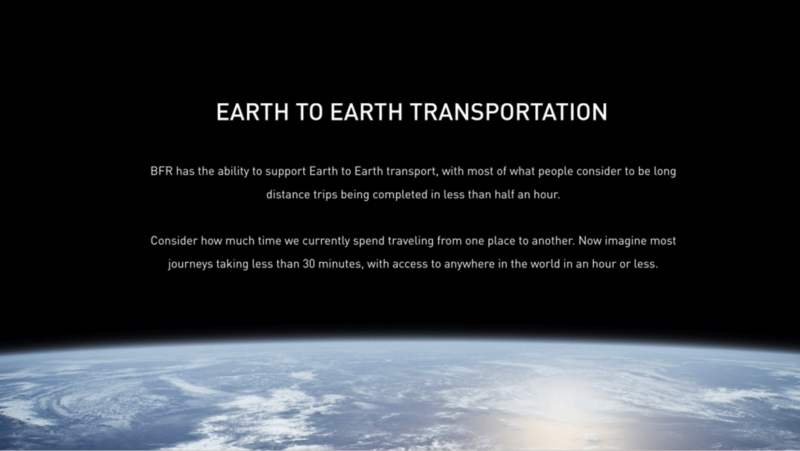 This is a craft that is 100% reusable, will be able to carry 100+ people at a time, can be used for point to point travel on earth as well as travel to orbit, moon, mars and beyond. 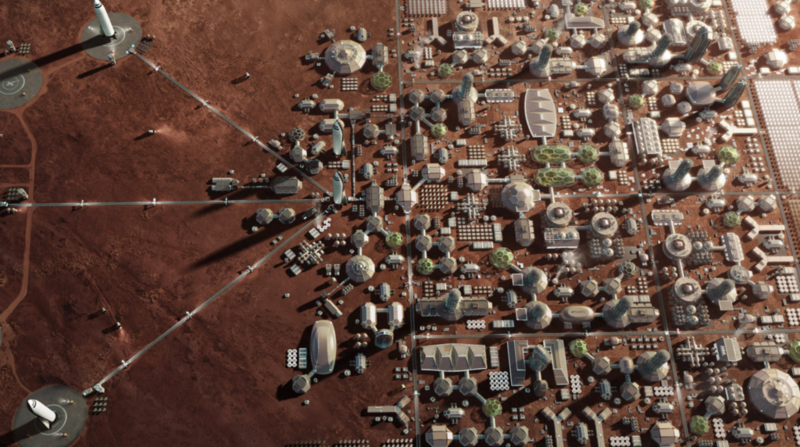 This is a big step towards a city on Mars, moonbase, and point to point travel on earth. 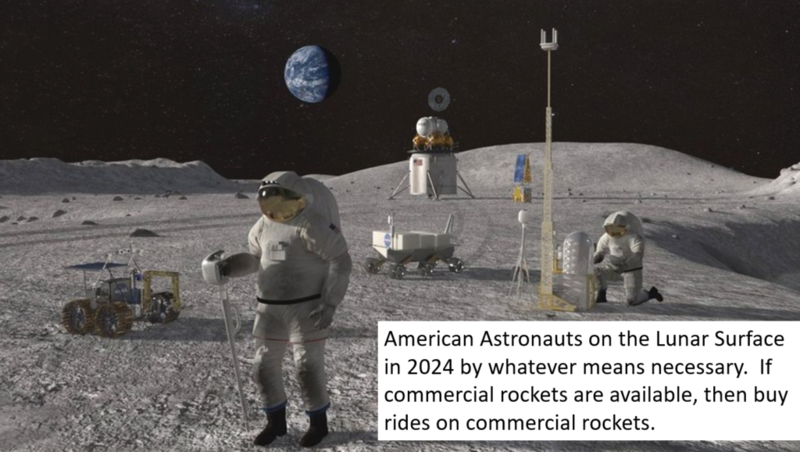 https://dearmoon.earth/ project which aims to send a group of artists around the moon in 2023. 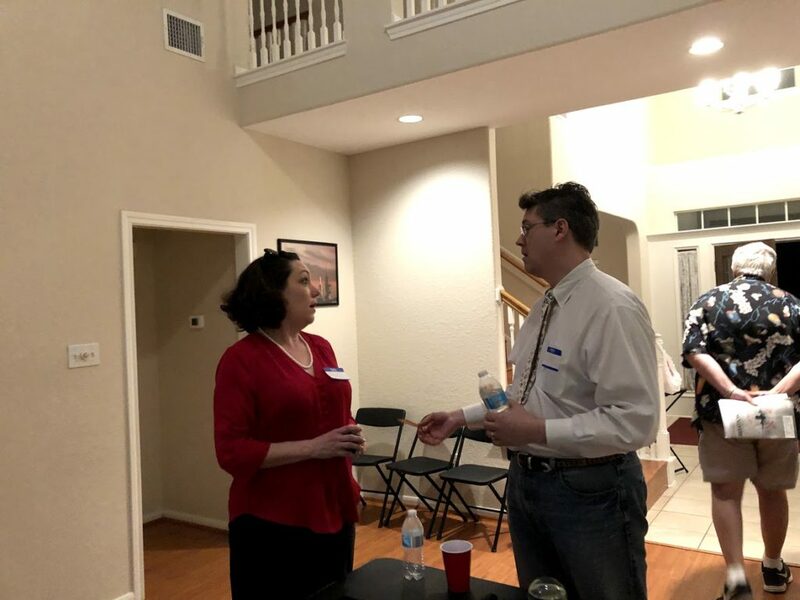 Then we had our main event. 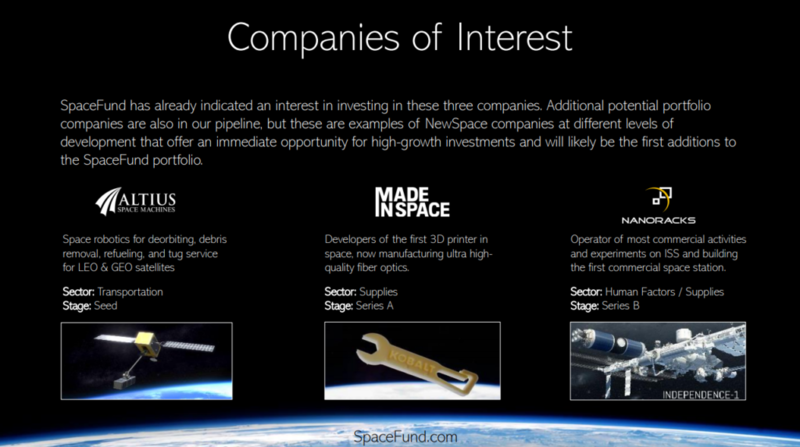 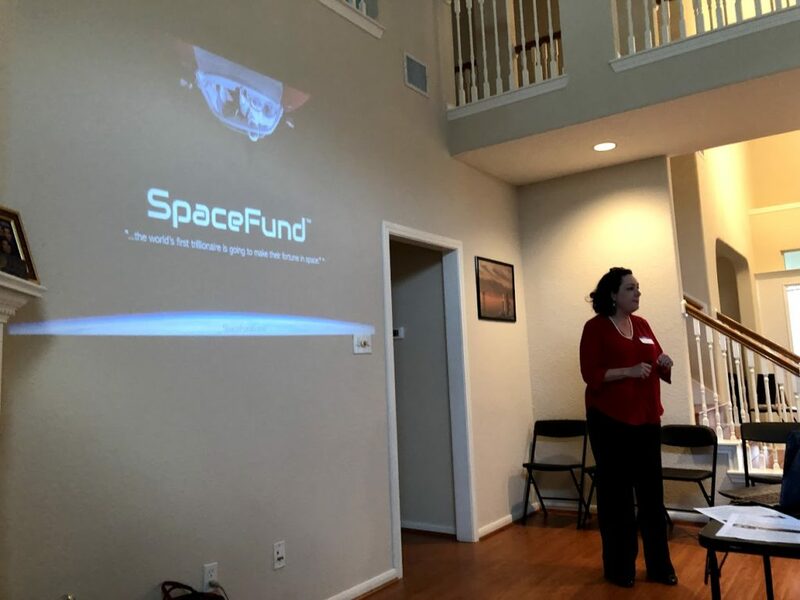 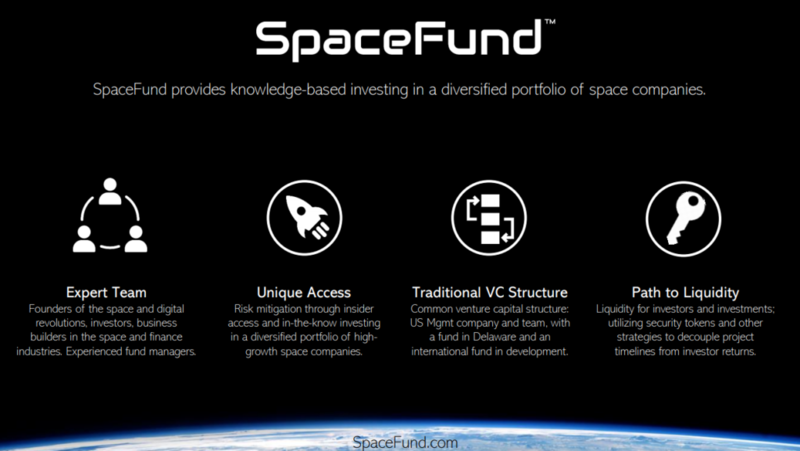 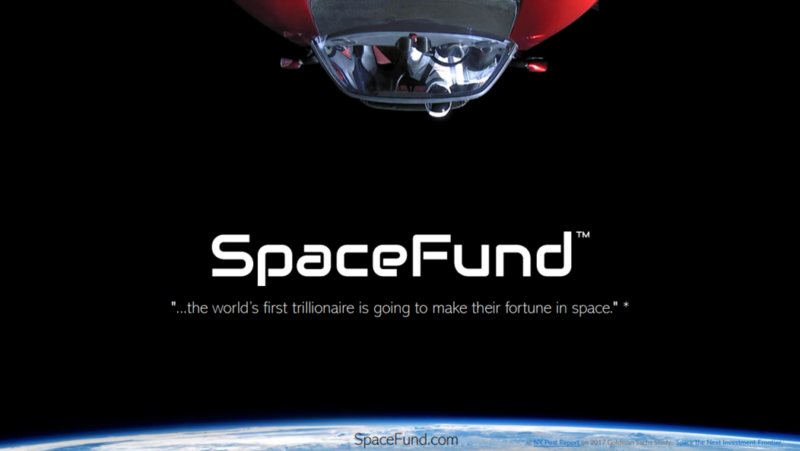 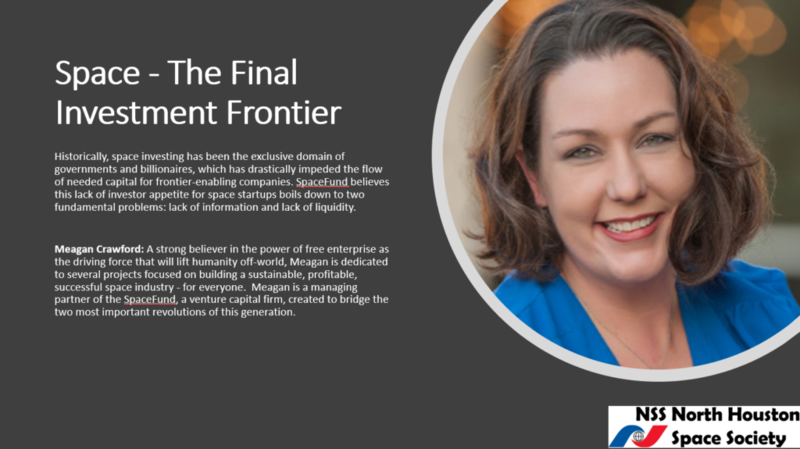 Meagan Crawford from the SpaceFund ( https://spacefund.com/ ) talked about the opportunities and challenges with investing in the space industry, how the SpaceFund are addressing these, and how much the space industry has to catch up to the other areas of investment. 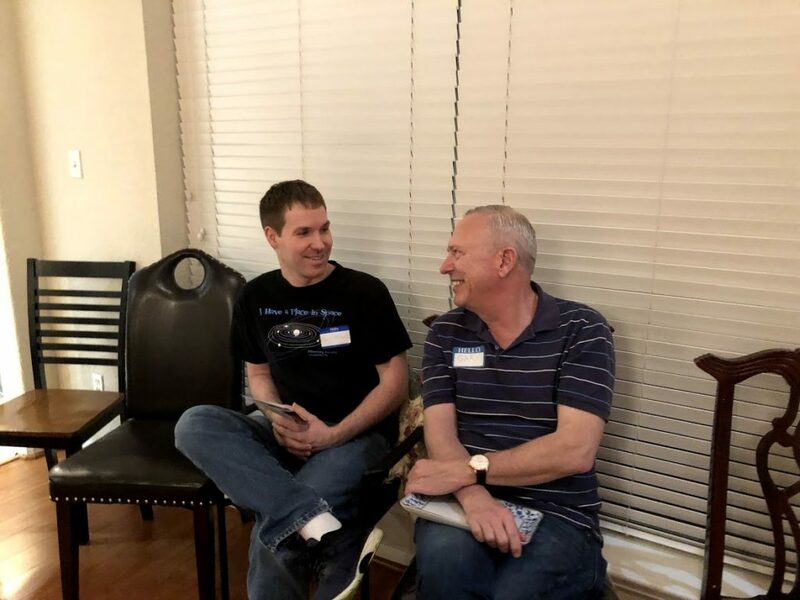 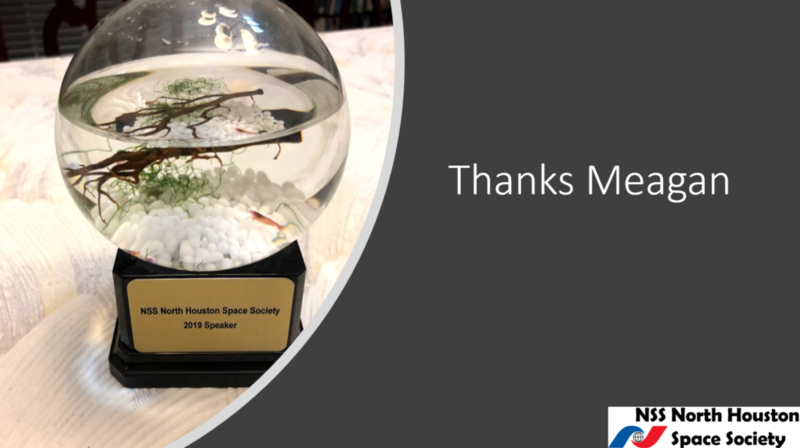 And our next meeting is Saturday, May 4, 2019 at Barbara Bush Library 3-5PM. 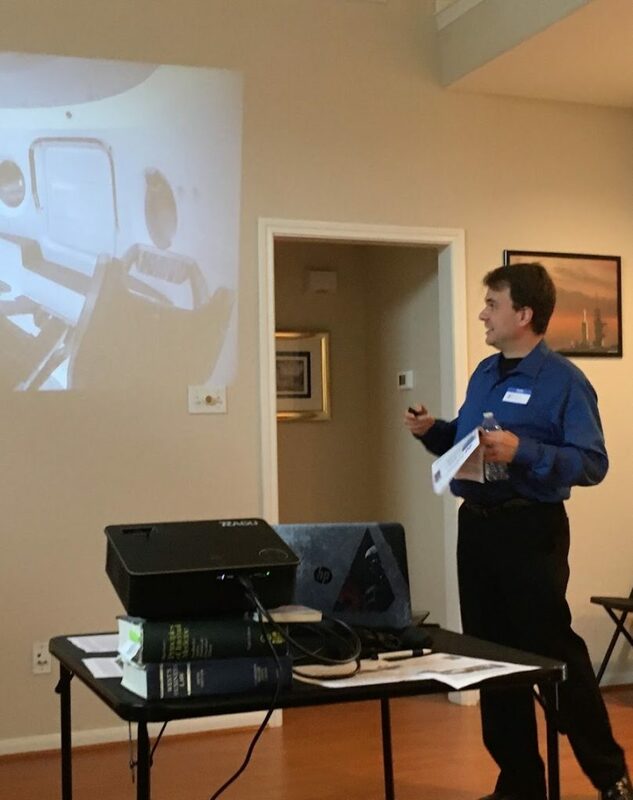 His office provided contract management support to the Flight Operations Directorate, the Safety & Mission Assurance Office, the Human Resources (HR) office, and the Office of the CFO at the Johnson Space Center and included support to operations at NASA’s aircraft operations at Ellington Field. 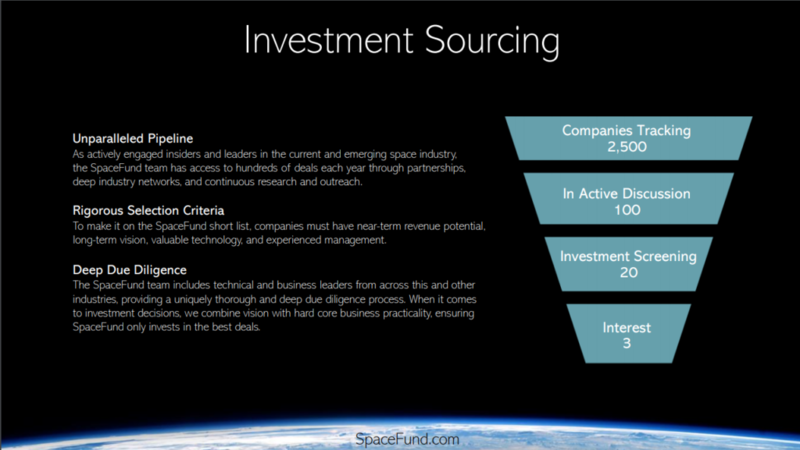 This support covered activities within Mission Control, the Astronaut Office, the Neutral Buoyancy Laboratory, and the Space Vehicle Mockup Facility among others. 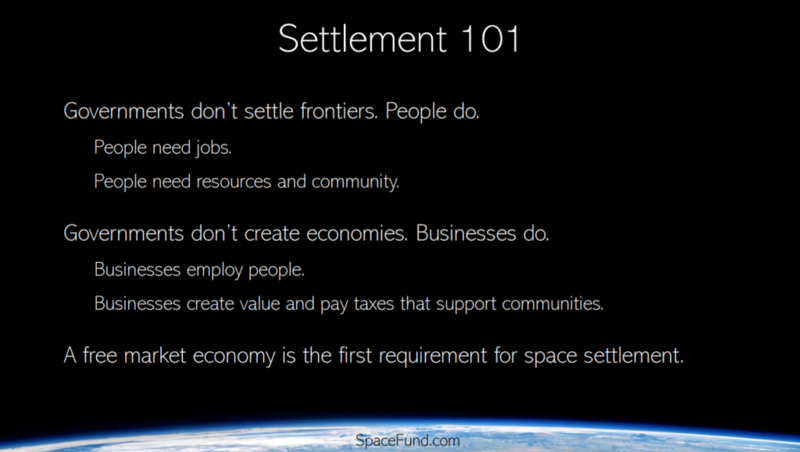 Many good discussions followed the presentations.